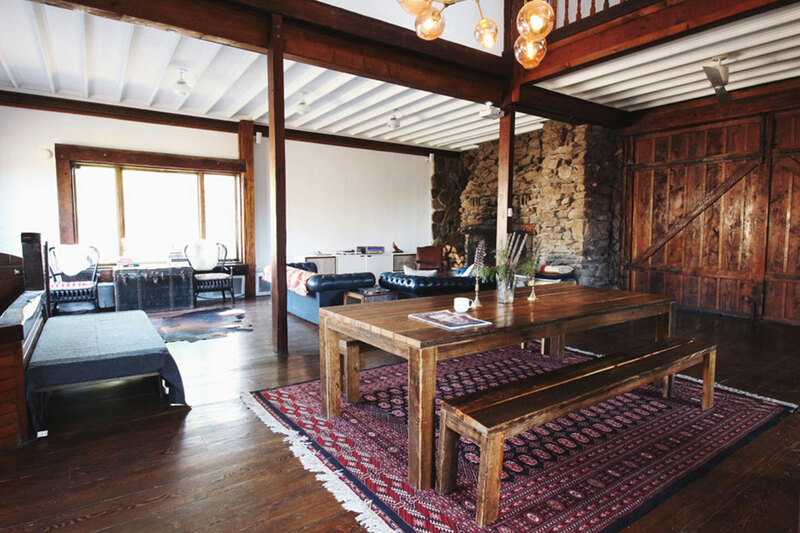 Long before the Hamptons were a flashy scene and party-centric inlets on the Jersey Shore cropped up, there were the Catskill Mountains. 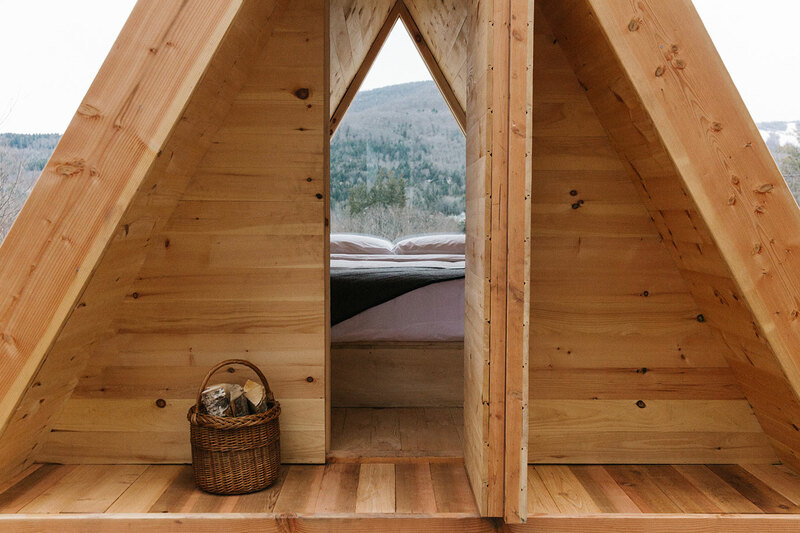 First settled in the 1600s, the Catskills have enjoyed a veritable renaissance with a new slew of boutique hotels and attractions. Thankfully, the awe-inspiring scenery and nearly endless trails remain the same, and are more than ready for adventurers. We can tell you now: Yes, you will need bug spray and blister pads—but if that’s not the highest calling of a sticky summer day spent well, then nothing is. To get intimately acquainted with your terrain, start by casting arc in the birthplace of American fly-fishing, Roscoe. 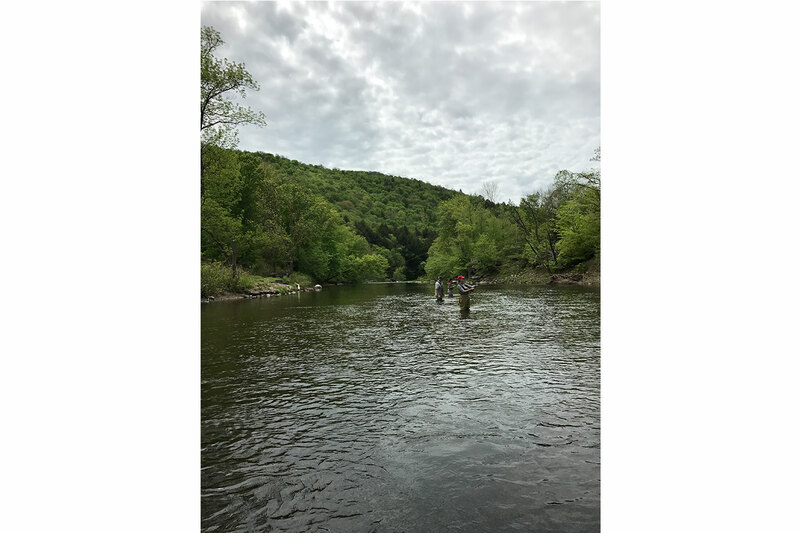 There’s the the Willowemoc River, the Beaverkill River, and the Delaware River, and you can hit the waterfront solo or employ the sage counsel of Trout Town Adventure Guides. The season kicked off in April, and there’s miles and miles of water to explore. 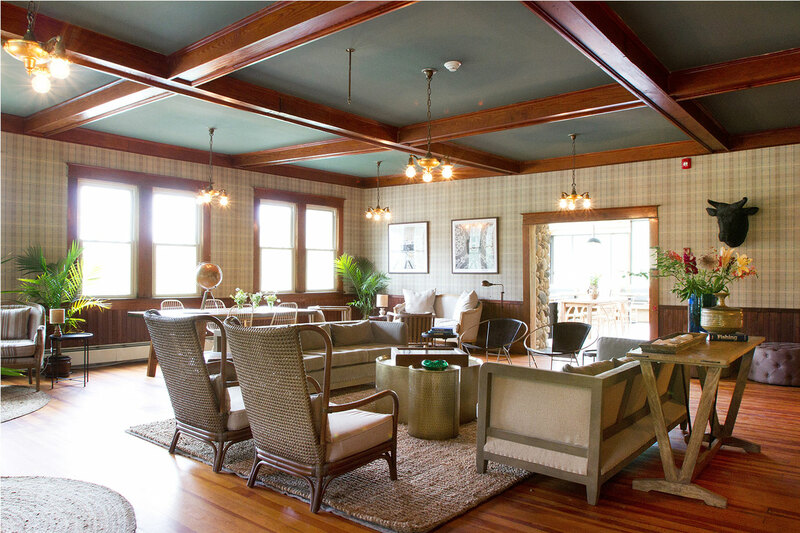 If you’re all about convenience, consider booking your stay at The DeBruce (pictured above), which is perched on the Willowemoc (yes, this 14-room inn has the river in its backyard) and offers guests the chance to take private lessons in the art of fly-fishing. Post-catch, nerd out at Catskill Fly Fishing Center & Museum in Livingston Manor, New York, followed by dinner at The Arnold House, which offers one hell of a smoked trout dip, a stellar bar, and gorgeous scenery from the hotel’s patio. Meanwhile, river junkies will equally delight in the Catskills’ sprawling wonders, especially along the Delaware river, America’s longest undammed river east of the Mississippi. 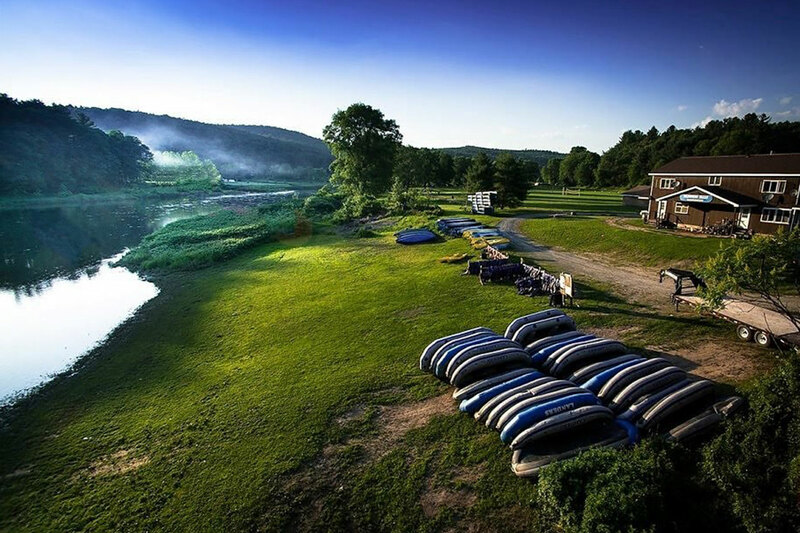 Kittatinny Canoes offer canoeing, kayaking, rafting, and tubing trips (along with paintballing and dual-racing ziplines). Or, book a rafting, canoeing, kayaking, or tubing trip with Landers River Trips, which runs several campgrounds along the river. Both tour outfitters have been family-owned-and-operated for over 30 years. 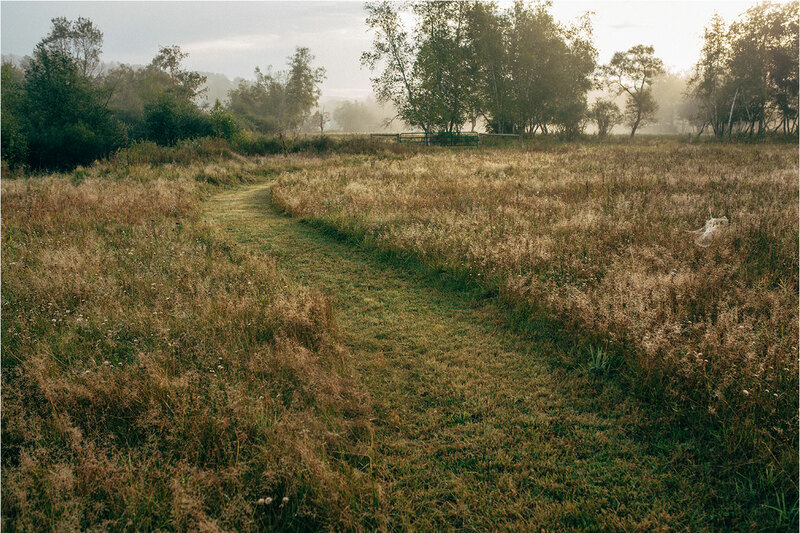 Once you’ve satiated all your in-water needs, test your limits with the region’s many hiking trails. To plot your hamstring ache, consult the extensive Sullivan Catskills Trailkeeper. Our vote? Try the grueling Balsam Lake Mountain to Alder Lake trail or slightly easier 4-mile beast that is Big Rock Ramble. For pro hiking guidance beyond the internet, head to sports store Morgan Outdoors for gear and counsel (be sure to get detailed directions; GPS may fail you). 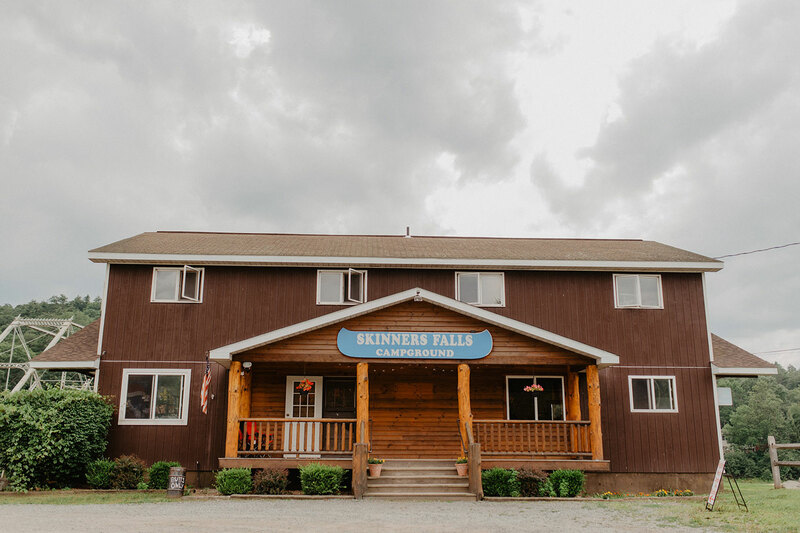 Before you head out of Livingston Manor, load up on homemade scones and danishes at Brandenburg Bakery, a classic German spot you will be dreaming about for months to come. Besides Arnold House and The DeBruce, the Catskills are studded with many inns and hotels. If you’re looking for a vacation rental, your best bet is Red Cottage Inc., which has an impressive repository, ranging from Milk Pond in Hankins (pictured), with a swimmable pond, treehouse, fire pit, and projector television to secluded Old Campbell Place in Callicoon, featuring a massive screened-in porch begging for some bourbon sipping and finishing one of those adventure books you’ve been wanting to read. In nearby Greene County, hotly anticipated boutique hotel and bar (yes), Eastwind is opening in Windham this June. A former bunk house for hunters and fishermen, this summer it will reopen with 19 guest rooms and three cabins. Adventurer and co-owner Bjorn Boyer tells us his personal favorite nearby attraction is mountain biking at Windham Mountain (a World Series Course). But you’ve also got extreme river tubing with Town Tinker Tube Rental in Phoenicia and hiking at the imposing Kaaterskill Falls, a 20-minute drive away. For the camping set, in addition to Landers (above), standouts include Roscoe Campsite Park and Neversink River Campgrounds.